A Launceston couple who run a teddy bear company, has outperformed hundreds of entrepreneurs and been named a Regional Winner in the 2008 HSBC Start-Up Stars Awards. Charlotte and William Morris who started Charlie Bears just over a year ago, is now hoping to scoop the top title and to walk away with a cheque for £50,000, courtesy of HSBC. In 2005, Charlotte and William Morris put their house and worldly belongings on the line to start their dream business. Now Charlie Bears supplies some of the UK’s best known independent retailers with high quality plush and mohair teddy bears, designed by leading teddy bear artists, and suitable for both collectors and teddy-loving children. The lucrative teddy bear market tends to fall into two categories, with competitively priced, mass produced toys at one end and very high cost, limited edition products at the other. Having sold some of the more expensive bears and realising how many people could not afford them, Charlotte identified a gap in the middle market. Charlie Bears was formed to fill that gap and the company is making steady progress, selling to a variety of customers ranging from children choosing their first bear to a 98 year old woman still adding to her collection. Initially working from a small rented farmhouse in Leeds, the business has now moved to Devon to accommodate its continuing growth. With UK sales increasing steadily, the Morris’s are now looking to expand overseas, targeting the markets in America, Australia, Scandinavia and Europe. Within the next five years they plan to have Charlie Bears with resident status in countries worldwide, while expanding their range to include baby-safe products and other related items. Charlie Bears is one of 10 companies battling it out to represent the West Wales and Northern Ireland region in the National Finals. 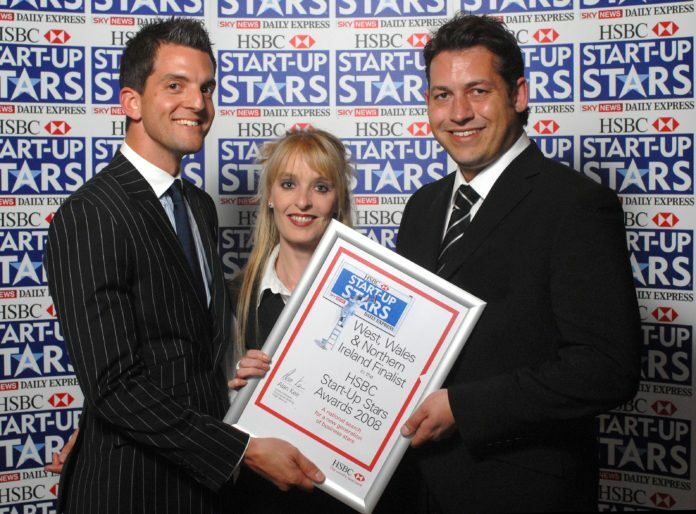 Their entry will now be considered by the national judging panel who will select the UK’s top 10 start-up businesses to come to London and convince them why they should be named the ‘Start-Up Star 2008’. Huw Morgan, HSBC’s Head of Business Banking, said: “Last year HSBC helped more than 130,000 new businesses get started, that’s one every four minutes, so we understand what it takes to set up a new venture and go it alone. For information on how to get a business off the ground, would-be entrepreneurs can go to HSBC’s Knowledge Centre at www.knowledge.hsbc.co.uk or they can obtain a copy of HSBC’s free Starting a Business pack by calling 0800 328 4912* or visiting an HSBC branch. Next articleConvergence Support for People Out of Work is Highlighted.